The Minnesota Art Therapy Association (MNATA) has created a survey to collect data that will provide a snap shot of the Art Therapy Professional landscape in our state. 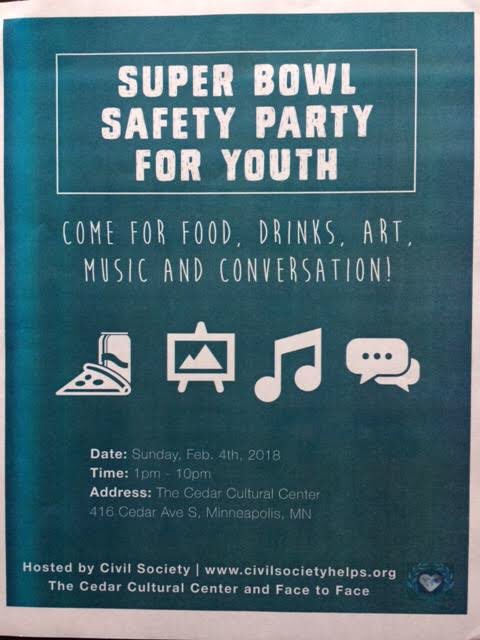 The information you provide in this survey is an important initial step in launching a campaign to obtain a separate Art Therapy License in MN that will protect consumers, providers and the Art Therapy profession. Additionally, this survey will be used to gain a better understanding of how and where Art Therapists are practicing in the state. ​We would like to join the following states who currently have an art therapy license or equivalent; Kentucky, Maryland, Mississippi, New Jersey, New Mexico, New York, Pennsylvania, Texas, Wisconsin, and Utah. Influenced by AATA and other states pursuing an art therapy license, below are reasons why an art therapy license is necessary. · Enable art therapists to provide their distinct services within state law. · BE RECOGNIZED AS AN IMPORTANT, UNIQUE MENTAL HEALTH PROFESSION. Call for Letters of Support! We are looking for letters in support of art therapy or observation of unintentional harm in the use of art in therapy. If you are willing to help advocate in writing, or asking your organization to write a letter of support and recognition of Art Therapy as a profession. Please Join or Follow Our Efforts! If you are interested in joining our licensure efforts or following our progress you can contact us directly at ﻿MNATA Advocacy﻿ or Facebook and follow our Blog! What are the requirements to practice Art Therapy? National requirements for professional entry into the practice of art therapy include, at minimum, a master’s degree and extensive post-graduate clinical experience under the supervision of credentialed art therapists—a process which typically requires a minimum of four years. Some art therapists also have a doctorate degree. Because of the uniqueness of the study and practice of art therapy, practitioners must be trained within approved art therapy master’s degree programs recognized by the American Art Therapy Association (AATA). The Association has approved thirty-nine art therapy master’s degree programs at thirty-five accredited colleges and universities in twenty states and the District of Columbia. A program for external accreditation of art therapy master’s degree programs by the Commission on Accreditation of Allied Health Education Programs (CAAHEP) will begin operation in 2017. Art therapy master’s level education requires a minimum of 60 semester credit hours of graduate level coursework that includes training in studio art (drawing, painting, sculpture, etc. ), the creative process, psychological development, group therapy, art therapy assessment, psycho-diagnostics, research methods, and multicultural diversity competence. Students must also complete 100 hours of supervised practicum, and 600 hours of supervised art therapy clinical internship. The art therapy graduate curriculum is uniquely guided by the premise that focused art-making constitutes reflective practice and facilitates learning. In addition to rigorous academic and clinical training, professional entry also requires a credential from the Art Therapy Credentials Board (ATCB). The ATCB administers the national art therapy proficiency examination and sets the parameters of ethical practice of art therapy with the ATCB Code of Professional Practice. Following completion of the master’s degree, graduates of approved programs must complete 1000 hours of direct client contact, with 100 hours of direct supervision, to be eligible to apply to ATCB for the ATR (Art Therapist, Registered) credential. Those who subsequently pass the ATCB proficiency examination become Board Certified and hold the ATR-BC credential. To maintain these credentials, art therapists must comply with a renewal process that involves at least 20 hours of approved continuing education requirements per year. How does professional training in Art Therapy differ from other mental health professions? While the practice of art therapy shares many common elements with traditional mental health professions, it is the combining of psychological knowledge and therapeutic skills with understanding of art media, the neurobiological implications of art-making, and the creative process that distinguishes art therapy from these professions. Like mental health counseling and marriage and family therapy, art therapy shares a common foundation in human psychological development, theories of personality, group and family therapy, appraisal and evaluation, and therapeutic knowledge and skills. All three professions require a minimum of a master’s degree for entry into the profession and engage in practice that focuses on assessing and treating adults and children experiencing developmental, medical, educational, social or psychological impairments. While having many elements in common, art therapy differs markedly from these professions in both its academic training and scope of practice. Art therapy master’s level education is distinct in its emphasis on imagery and art-making. The art therapy curriculum includes course content based on two underlying theories: the Expressive Therapies Continuum which guides decision making processes in art therapy practice, and the premise that focused art-making constitutes reflective practice and facilitates learning. In addition to traditional training in counseling theories and methods, the art therapy master’s curriculum also requires courses in, for example, the psychology of creativity, symbolism and metaphor, processes and materials of art therapy, and art therapy assessment methods. In practice, art therapists also must employ a broader range of knowledge and skills. Art therapists use distinctive art-based assessments to evaluate emotional, cognitive and developmental conditions. They must understand the science of imagery and of color, texture, and media and how these affect a wide range of potential clients and personalities. In addition to using both traditional and art-based diagnostic methods to assess a client’s general psychological disposition, the trained art therapist also must assess how art as a process is likely to moderate the individual’s mental state and corresponding behavior. It is the recognition of the ability of art and art-making to reveal thoughts and emotions, together with knowledge and skill to safely manage the reactions they may evoke, that distinguish art therapy as a separate profession. Why is a separate Art Therapy license needed? The idea of licensing art therapists is not a new one. Five states have enacted distinct art therapy licenses, and four states authorize art therapists to be licensed under other related mental health licenses. 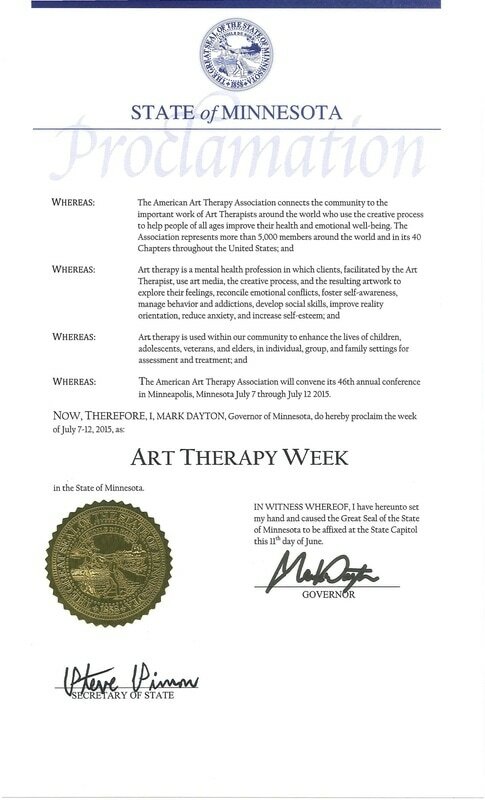 However, only in recent years has the public become aware of the benefits of art therapy, plus sufficient numbers of qualified credentialed art therapists, to necessitate separate licensure of art therapists in the majority of states. In the absence of specialized art therapy licenses, many art therapy graduates have sought to be licensed in related mental health fields, and particularly as professional counselors and marriage and family therapists. At the same time, approved art therapy master’s degree programs have had to expand their curriculum requirements to include areas of study that would enable graduates to qualify for these licenses. These dual specialty programs provide graduates with rigorous training that qualifies them for both state licensure and the ATR credential. • Failing to provide art therapists with a distinct professional identity, with defined qualifications and scope of practice in state law, that accurately reflects the specialized academic and clinical training required to practice art therapy. • Failing to protect the public by not allowing consumers to easily identify practitioners with appropriate training to practice art therapy. 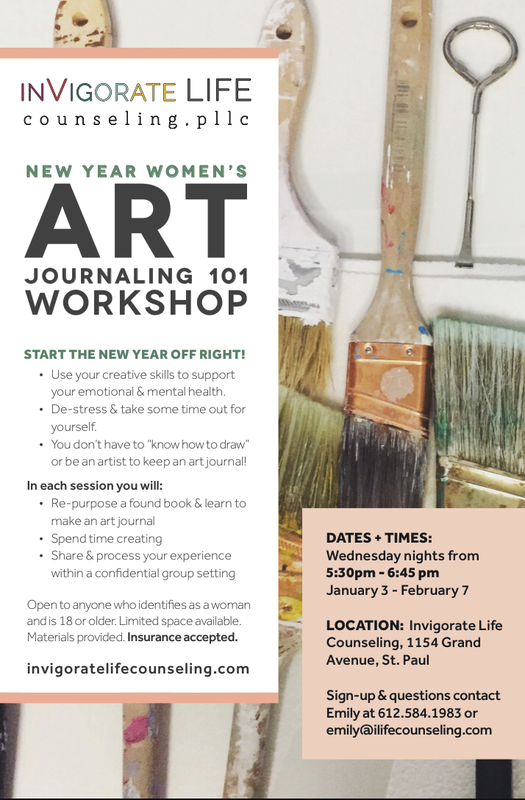 • Creating false assumptions that art therapy is merely a subspecialty of the other licensed profession license, and that other practitioners holding that license can incorporate art therapy methods in their practice without appropriate training. • Providing the limited numbers of art therapists holding a license with little ability to influence the policies or direction of the licensed profession, as well as little influence to avert licensing board actions that may be detrimental to art therapists. Licensure under other professional licenses also is proving to be, at best, a stop gap approach for art therapists as other mental health professions continue to define or clarify their professional identities with increasingly restrictive educational, clinical experience, and examination requirements. Almost all states now require master’s degrees from programs accredited by the Council on Social Work Education (CSWE) to qualify for social work licenses. A large majority of states also require graduation from programs accredited by the Commission on Accreditation of Marriage and Family Therapy Education (COAMFTE) to qualify for marriage and family therapy licenses. State professional counseling and mental health counseling licenses, which have been the primary licenses available to art therapists in many states, also are being restricted by the counseling profession’s ongoing effort to create a single identity for all counselors based on required degrees from programs accredited by the Council for Accreditation of Counseling and Related Educational Programs (CACREP). State licensing boards also are using regulatory measures to limit eligibility for counseling licenses, including requirements that all courses to meet educational requirements for licensure must be completed prior to receipt of the master’s degree, that all coursework in non-accredited programs must “focus exclusively” on mental health counseling, and that limit the number of qualifying courses that can be taken after completion of a master’s degree to meet state educational requirements for licensure. The effect of these program accreditation and processing requirements has been to deny art therapists relevant licensing options in growing numbers of states. It also necessitates separate licensure of art therapists to establish qualifications and standards for practice of art therapy and protections against unethical practices. Recent advancements in understanding the brain and its functions, especially its implications for social, emotional and behavioral development, have only begun to reveal how the process of art-making can influence neural pathways and lead to improved physical and mental health. Without separate licensure of art therapists, there will be fewer qualified and licensed practitioners to meet the public’s growing need for mental health services, less diversity and innovation in mental health practice, and no assurance that people in need of art therapy services will be able to receive them from appropriately trained and qualified professional art therapists. Is licensure of Art Therapy needed to protect public health and safety? Art therapy recognizes the power of art and art-making to stimulate memories and reveal emotions. Understanding how art interacts with a client’s psychological disposition, and how to safely manage and interpret the reactions different art processes may evoke, are competencies that must be gained through substantial experiential learning that is unique to art therapy master’s degree training. The use of art as therapy thus carries risk of harm if applied beyond the competence of the practitioner. Recent advancements in understanding the brain and its functions have increased public awareness of how the process of art-making can influence neural pathways and lead to improved physical and mental health. This has encouraged other mental health practitioners to include art materials and art therapy methods within their practice and influenced creation of growing numbers of training programs that appear to involve art therapy. The result has been to add to the public’s confusion about what are therapy involves and the level of training required for effective practice of art therapy. This presents two distinct sources of potential harm to public health and safety that can be addressed through licensure and regulation of art therapists. Individuals using art therapy methods and art materials in their mental health practice without appropriate or adequate clinical training pose significant risk to the emotional stability of their clients. Potential risks include misinterpreting or ignoring assessments the practitioner has not been clinically trained to diagnose or treat, or eliciting adverse responses from clients that they are not properly trained to interpret or treat. The potential for harm is magnified where a client has a vulnerable psychological predisposition. • Brandman University (part of the California based- Chapman University System) offers an Art4Healing certificate program directed to “counselors, teachers, therapists, medical professionals, artists and others interested in learning the Art4Healing method and using the exercises in their own work with children and adults suffering from abuse, illness, grief and stress.” The certificate program requires only 45 hours of on-site workshops at the University’s Art & Creativity for Healing studio. • The University of Florida has initiated a Master of Arts in Arts in Medicine program which offers a fully on-line, 35-credit master’s degree program to train artists to work in hospital settings. The University also offers a graduate certificate program in Arts in Public Health. • The Global Alliance for Arts & Health (GAAH) recently created a national Artists in Healthcare Certification program to attest for hospital administrators that artists who do artwork activities with patients in hospital and other healthcare have a minimal level of knowledge and competency to work in healthcare environments. Certification involves passage of a national examination, with no specific training or prior experience in healthcare required to sit for the examination. *Hammond, L.C. & Gantt, L. (1998, Summer). Using Art in Counseling: Ethical Considerations.Journal of Counseling& Development, 76, 271-276.